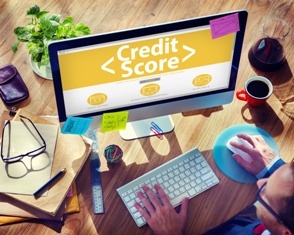 How can identity theft affect my credit score? If you’re asking the question, you already know how important your credit score is. This key piece of information determines whether you can buy a house, lease a new car, and get a decent interest rate. So when all of this is jeopardized by an identity thief, you need to know how to fix it fast. Even a single missed payment can drop your credit score, so the longer a bogus account sits on your credit report, the more damage it will cause. If a thief empties out your checking account and auto payments to legitimate creditors or utilities are missed, that can have an effect as well. It’s never good for your credit cards to be maxed out, but a thief won’t hesitate to do it and you’ll pay the price in a lower score if you don’t catch it quickly. If a thief gets multiple credit cards in your name, it can shorten the length of your credit history, lowering your score. Even after a thief begins to be rejected for new credit cards in your name, the fact that he is even applying for them can lower your score because the credit reporting agencies ding you for what they call hard inquiries. These effects should be temporary if you realize your identity has been stolen and take steps to undo the damage. I explained how to clear up debt in an earlier article, but in a nutshell, you will need to contact the credit reporting agencies and inform them that the accounts on your report are not yours. You will also need to contact the creditors who hold the accounts. Debt collectors may begin to contact you and harass you about the debt. In some of these cases, you may be able to take legal action against these agencies if they fail to take the bogus accounts out of your name. You do not have to suffer through this process alone! Contact me online or call my office directly at 855.982.2400 to find out if I can help you get out of this frustrating mess. How does California law protect victims of identity theft? Identity theft is such an insidious crime that it is often impossible to catch and prosecute the perpetrator. So where does this leave victims who are hoping for some kind of justice? While you’ll probably never see the criminal prosecuted, there are laws in place in California that help you control the damage he caused and recover from the financial fallout. Enacted in 2017, the California Identity Theft Resolution Act helps victims resolve credit identity theft problems more quickly. The time limits imposed by the act are essential for allowing you to get on with your life more quickly after your identity has been stolen. 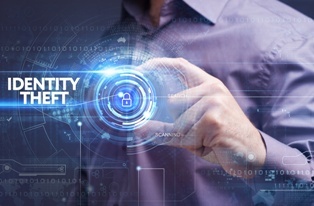 If you are struggling with an identity theft nightmare, fill out our contact form and we will get back to you as soon as possible to discuss your options. Should I place a freeze on my credit file? It feels like massive data breaches are happening all the time. When it happens, you probably hear newscasters advising people who may be affected to place a freeze on their credit files. What does this mean and should you do it? We explain here. The CRAs will lock down your reports so that no new creditor or other party can get access to them without getting a PIN from you. Your current creditors will continue to have access. If you want to open a new line of credit, apply for a mortgage or car loan, or need to have a background check conducted, you will have to lift the freeze for the parties who need access to your report. 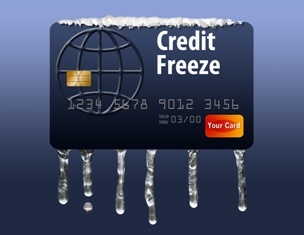 Credit freezes are free and will stay in place until you remove them. Placing a credit freeze may give you some peace of mind if your identity has been stolen—or if your personal data, including your Social Security number, have been compromised—but it can’t stop a thief altogether and it may be more trouble than it’s worth. "Mike was kind, compassionate, knowledgeable and took an interest in learning the facts of my case before he made an assessment. He was willing to take the time to listen with an open mind. It was clear he enjoys helping people and he was very thoughtful when recommending the best approach for me. As you search for people to help you with your case, I would urge you to call Mike now! He also has a fantastic support team and great tools to help ease the struggle when you need to be heard." A credit freeze will create a lot of work for you, so you want to make sure it’s the right action to take if your personal information has been stolen. Every time someone needs to access your credit report—including you—a PIN will have to be provided. If you are in the process of buying a car, moving, applying to school, or job hunting, you will be handing out a lot of PINs. A credit freeze will not prevent someone from using your credit card number to make purchases, which is the most widespread type of theft. Unless someone got ahold of your Social Security number and has filed a tax return or is opening new accounts in your name, a credit freeze may not be the right move to make. 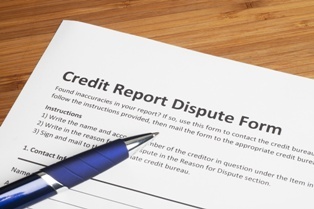 Credit Report Problems Due to Identity Theft? Call Me! Credit freeze or not, if you have incorrect and damaging information on your credit reports caused by identity theft and the CRAs are not cooperating in helping you clean up the report, contact me. They are breaking the law and may owe you damages, as well as being required to fix your reports and your credit score. 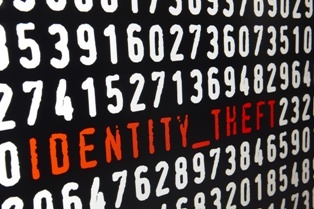 Not sure what to do after being the victim of identity theft? Contact me online or call my office directly at 855.982.2400. I’ll help you understand your options. Can I leave base housing due to uninhabitable conditions? If you are living with rodent feces, black mold, lead paint, no heat, or dangerous structural damage in a rental house on a military base, you have every right to move your family out to a safer location and you should not be penalized for doing so. However, it’s unlikely that the private company who is managing the housing on base will let you go that easily. In order to exercise your rights, you will probably need a lawyer to fight for you. All branches of the military at bases across the country have contracted out management of housing to private partners such as Lincoln Military Housing. The Department of Defense did this 20 years ago because the military could not afford to repair older housing or build new housing. However, on many bases, these companies have done a terrible job of maintaining, repairing, cleaning, and removing pests from the housing they now manage. As a result, servicemembers are finding themselves living in substandard housing that is making them and their children ill.
It’s important to understand that—even though you live on federal property and your landlord is a government contractor—you still have the same tenant rights that everyone else in your state has. One of those rights is the right to housing that is habitable. What has unfortunately been happening at bases like Camp Pendleton in California is that families have had to move out of their base housing because their landlord has refused to remove hazards like mold and rodents, making the house unsafe to live in. Fearing for their safety, these families have spent thousands of dollars to move and have also lost security deposits or even been charged cleaning fees by their landlords. This is not only unacceptable—it is illegal. If you have reported the problem to your landlord and they have failed to fix it, rendering it uninhabitable, the landlord has broken their end of the lease. They have also violated federal law by constructively evicting you without a court order. The sooner you call me, the more I will be able to help. If you have taken pictures of the conditions in your home and you have a record of the complaints you have filed with your landlord, we will be in a strong position to sue them to not only get your deposit returned, but for additional damages as well. Even if you don’t have solid documentation, do not hesitate to call me for help. No matter where you live, I will go to work protecting you right to livable housing. Contact me online and I will be in touch as soon as possible. 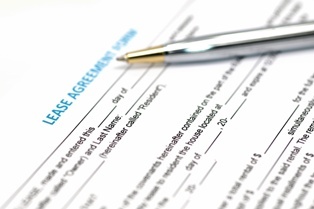 Can I sue my military base landlord if my housing conditions are unlivable? Far too many of our men and women in uniform are finding themselves living in base housing that is in sub-standard condition. Not only are these servicemembers and their families dealing with houses that are in disrepair, but they are living with rodents, black mold, and peeling lead paint. If you are in this situation, you may have been told that as a member of the military, you can’t sue the military. However, on most military bases, including Camp Pendleton, housing is owned and managed by outside contractors, not the military. 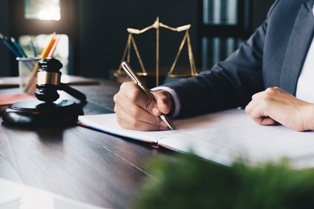 These landlords are subject to the same laws as any other property owner and, therefore, can be sued when they violate your rights. 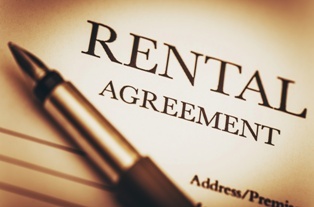 Every state has tenants’ rights laws, and they all protect renters in pretty much the same way. The part of the law that applies in this situation is the right to a habitable residence. This means that the landlord is required to do whatever it takes to maintain your property in a safe and livable condition. 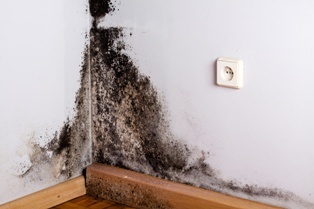 If your house on Camp Pendleton has dangerous black mold in the vents, for example, your landlord—in this case, Lincoln Military Housing—must take measures to remove the mold. 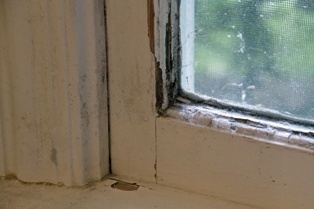 Simply cleaning and painting over it is not the same as mold remediation. If you have informed your landlord of the problem and given them adequate time to take care of it, you have the right to sue them if they fail to make your house habitable. As a servicemember, you are also protected under the Servicemembers Civil Relief Act (SCRA). One of the provisions of the law states that you cannot be evicted from your home without a court order. If you are forced to move your family out of military housing because rats, mold, or lead paint is making them ill, this is a form of eviction known as constructive eviction. If you sue your landlord under the SCRA and win, you can be released from your lease without penalty and you may also be owed damages. Despite the other valuable services base legal provides to you, this is one area where they will not be able to help. Because your landlord is a military contractor and the military can’t sue their own contractors, you will need to get outside legal help to sue your landlord under SCRA or state tenants’ rights laws. As a Marine myself, I understand the sacrifices you are making to serve your country and I am committed to fighting back against housing contractors who refuse to ensure that members of our armed forces and their families have access to safe housing. If you are being blamed for the condition of your house or are looking to get out of a lease without penalty, contact me as soon as possible. I represent servicemembers in housing disputes across the country.